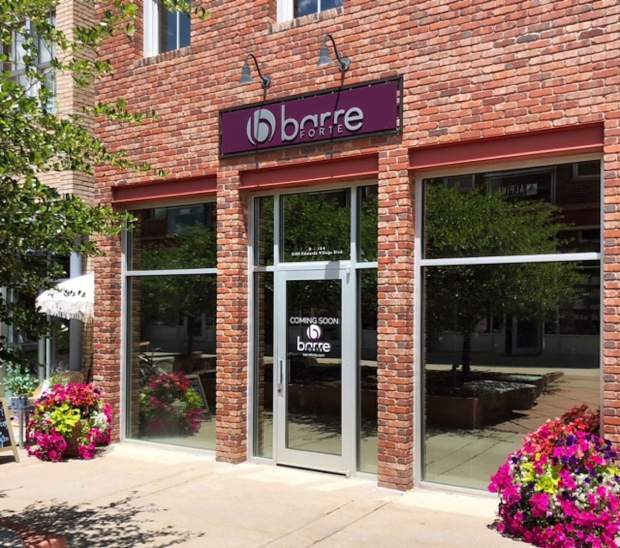 Local residents Beth Robinson and Jessica Denton have opened Barre Forte, a new exercise studio in Edwards Village. EDWARDS — Locals Beth Robinson and Jessica Denton have opened Barre Forte Vail Valley in the Edwards Village Boulevard neighborhood. When co-owner Jessica Denton was invited to her first barre class, she was hesitant. “I don’t need barre,” Jessica told her friend. “I do real workouts — run races, lift heavy, crush cardio intervals, pay a personal trainer.” But, she said, barre was the missing link in her fitness routine. Barre is a fitness discipline involving very small and intentional movements meant to fatigue your muscles through high repetitions. It’s a full-body sculpting workout that will challenge your endurance and mental stamina. During the portion of class that focuses on movements to tone your thighs, it’s signature for your legs to start shaking uncontrollably. At first it can take some getting used to, but after a few classes, the shake becomes a proud achievement because that’s when you know you are making changes, increasing strength and sculpting beautiful lean muscles. Barre Forte Vail Valley offers bold colors, turned up (uncensored) music and a challenging workout “that’s a little more athletic” than a typical barre class. Denton and Robinson know fitness isn’t a one style fits all or one season of life fits all. That’s why they don’t plan to be a typical barre studio. Robinson and Denton plan to offer a variety of fitness classes within their 25-plus classes each week. For more information, go to http://www.barreforte.com.